November 6, 2015 (San Diego’s East County) – East County Magazine has twice named Donna Tisdale our “Newsmaker of the Year” for her tireless efforts to battle massive energy projects and stand up for rural residents. She also received the People’s Mic Award from KNSJ Radio for her advocacy as a backcountry warrior. But now the warrior is under attack by a series of articles (1) (2) (3) published by Voice of San Diego. The articles criticize Tisdale and her nonprofit, Backcountry Against Dumps (BAD) for suits filed in Imperial County over desert solar projects. In essence, the series faults cash settlements paid to farmers and claims eight suits yielded no environmental benefits. But now Tisdale is firing back in a detailed response that contends VOSD’s stories contain false statements in a “misinformation campaign” she likens to Big Tobacco and Big Oil’s efforts to mislead the public. “It is no coincidence that San Diego Gas & Electric’s (SDG&E’s) Mitch Mitchell is on the VOSD Board of Directors,” she observes, noting that BAD has challenged numerous SDG&E projects. She denies personal financial gain alleged by VOSD (which presented zero evidence of such). While the VOSD article addresses issues in 8 lawsuits not in San Diego County, BAD has filed three times that many (24), many of which did result in big wins for the environment in our region-- or developers backing off projects completely, facts that VOSD failed to report. As reported last week by the Carnegie Institution of Science, new industrial-scale solar arrays in California are rapidly displacing productive farmland along with wildlife habitat.1 Over 28 percent of these solar energy plants are built on farms, where they permanently destroy agricultural use, and more than half are built on natural ecosystems, where they destroy wildlife habitat. Roof-top solar, by contrast, saves farmland and wildlife habitat, avoids impacts on natural scenery, eliminates powerlines that otherwise cause wildfires, and ultimately, save energy by eliminating transmission losses of power over the huge and lengthy powerlines that major utilities promote to rake in enormous profits from their ratepayers. Most major environmental organizations have been reluctant to criticize industrial-scale renewable energy projects, and some have even actively supported them. Backcountry Against Dumps, a public benefit charitable organization established in 1989, is one of very few environmental organizations that has stood up to the investor-owned utility companies and major financial interests supporting industrial-scale solar and wind power for over a dozen years. Starting in 2004, Backcountry has pointed out the blatant untruths employed by these industrial interests and their partners in state and federal government who pretend that developing industrial-scale solar, wind, and related electrical infrastructure projects is needed to curtail predicted climate change and does not harm the environment. In fact, as Backcountry has demonstrated over and over again, energy efficiency and the installation of roof-top and parking shade solar is a far more efficient way to provide needed power near the energy demand centers, without destroying farmland, wildlife habitat and scarce groundwater supplies, and without creating needless wildfire risks in arid backcountry areas that have suffered catastrophic wildfires due to powerline ignition over the past two decades. September 29, 2015. Judge Lorenz ruled that the federal Department of Energy violated the National Environmental Policy Act, or NEPA, when it approved this project, because its Environmental Impact Statement (“EIS”) “focused almost exclusively on private interests” at the expensive of alternatives such as distributed energy including roof-top solar. Judge Lorenz also agreed with Backcountry that the Department of Energy had a duty under NEPA to consider the effects of the ESJ Project on the environment, including wildlife, south of the Mexican border. Although Backcountry prefers to win its cases in court, sometimes in response to Backcountry’s lawsuits the project proponents choose to simply withdraw their projects rather than face judicial scrutiny, as happened in the case of the Calipatria Solar Farm II industrial-scale solar project proposed to be constructed in 2012 on 561 acres of state-designated Farmland of Statewide Importance designated under the Imperial County General Plan for exclusive agricultural use and protected under a Williamson Act Land Conservation Contract. As a direct result of Backcountry’s lawsuit, the Imperial County Board of Supervisors rescinded its approval of the Calipatria Solar Farm II project, thus protecting this irreplaceable farmland. In other cases, the project proponent and affected farmers prefer to enter into confidential settlement negotiations in order to reduce the size of the project, to mitigate its impacts on agricultural production, or alternatively, to provide compensation for displaced farmers. Where the developer and the impacted farmers choose that pathway, Backcountry’s lawsuits hold the development in check until the parties most affected may resolve their concerns. As they have every right to do, those parties may decide to keep their settlement agreements confidential and Backcountry honors those confidentiality agreements. As a result of Backcountry’s willingness to take on local, state and federal agencies and the powerful economic interests that promote industrial-scale renewable energy projects, thousands of acres of productive farmland and other undeveloped sites have been preserved, and millions of dollars have been distributed to impacted farmers to assist their purchase of alternative farmland where it is available. Environmental Policy Act (“NEPA”) on numerous grounds, including several that are similar to those that Federal Judge Lorenz found meritorious in ruling in Backcountry’s favor in its challenge to the Department of Energy’s approval of the ESJ Wind Power Project. Also pending before the Ninth Circuit Court of Appeals is Backcountry’s lawsuit against the Tule Wind industrial-scale wind power project. 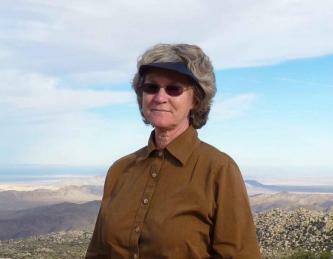 That project would destroy the rugged wide open beauty of the McCain Valley National Conservation Area, and Recreation Area, one of the most scenic areas of high desert mountainous terrain in Southern California, and designated by the Fish and Wildlife Service as Class I –High Risk for Golden Eagles. Like Backcountry’s lawsuit against the Ocotillo Wind Energy Project, Backcountry’s lawsuit against Tule Wind points out that approval of this project violates FLPMA, NEPA, the Migratory Bird Treaty Act, and the Bald and Golden Eagle Protection Act. Like the Ocotillo case, the Tule Wind case is fully briefed and a hearing before the Ninth Circuit is expected soon. Both lawsuits point out that these wind power projects foreseeably kill migratory birds, including golden eagles and other protected birds of prey, in violation of statutes adopted by Congress many decades ago to protect these magnificent birds from needless death due to ill-placed and designed industrial uses. Backcountry’s lawsuits against industrial-scale solar projects proposed for active farmland in Imperial County point out that these industrial uses violate the Imperial County General Plan because the lands involved are designated for exclusive agricultural use. Imperial County has engaged in the fiction that the 30-year plus industrial solar projects it is approving are merely “temporary” uses which do not destroy the agricultural use currently underway on these lands. Although the County’s defense is plainly incorrect, as yet it has not been rejected by the small pool of Imperial County judges. Because many of those judges have conflicts of interest, Backcountry’s most recent lawsuit, filed with impacted farmers, challenging an industrial-scale solar project in Imperial County – the massive Wisteria project on over 2,000 acres near El Centro – has been transferred to the San Diego County Superior Court for adjudication. That lawsuit is moving ahead and a hearing on the merits is expected early next year. In Backcountry’s lawsuits brought to protect farmland, Backcountry has teamed up with impacted farmers who are either named as individual plaintiffs, or are members of Backcountry and represented by that organization in the litigation. In every case that has settled, impacted farmers have played a key role in responding to proposals by the developers to settle the cases. In no case has Backcountry initiated settlement of these cases. In every case that has settled, the developer initiated settlement negotiations. Given the uncertainty regarding how courts will decide the substantive claims raised in its lawsuits, sometimes the parties agree to settle the case. Because these settlements are confidential, Backcountry will not disclose the terms of these settlements. To do so would be unethical and in violation of the express confidentiality provisions of these settlement agreements. Backcountry has been fearless in taking on powerful economic and political interests in order to save Southern California’s dwindling farmland and wildlife habitat. These powerful interests include San Diego Gas & Electric, whose Sunrise Powerlink Project was actively opposed by Backcountry in both state and federal court. Ultimately, this greenwashed project was allowed to proceed notwithstanding its horrendous impacts on rural communities. Sunrise Powerlink has provided an open invitation to industrial energy developers to construct huge solar and wind power projects along its 130-mile length. These developers include Soitec Solar Development LLC and its many local political and financial interests, including John Gibson of Hamann Companies who has used Voice of San Diego as a platform from which to promote his pro-development and anti-environmental agenda. It is no coincidence that San Diego Gas & Electric’s (“SDG&E’s”) Mitch Mitchell is on the VOSD Board of Directors.2 It is also no coincidence that SDG&E has Power Purchase Agreements with most if not all of the solar and two of the wind power projects and owns the $1.9 billion Sunrise Powerlink and $435 million ECO Substation projects that Backcountry has challenged over the last decade. And, it is no coincidence that VOSD has published recent articles attacking Backcountry and its efforts to preserve Imperial County’s vanishing farmland from rapid displacement by industrial solar projects. stressed groundwater resources, and wildlife habitat from needless loss to industrial solar and wind power development and related infrastructure projects. VOSD’s recent articles attacking Backcountry are riddled with false innuendo and deliberately omitted facts. The principal false accusations in these articles are listed below, followed by the actual facts as documented in publicly available records. VOSD false claim: Backcountry’s lawsuits against industrial-scale energy projects have achieved no environmental protections. Actual fact: Backcountry’s efforts, lawsuits, and settlements have resulted in the protection of many thousands of acres of agricultural land and wildlife habitat in both Imperial and San Diego counties. In addition to the wholesale protection of vast tracks of farmland and wildlife habitat, Backcountry’s participation and legal efforts have resulted in the imposition of substantial set-backs and buffer areas designed to protect both agricultural uses and wildlife habitat from incompatible industrial uses and have resulted in some sections of new powerlines being buried underground . VOSD false claim: Backcountry brought its lawsuits to extract money from developers. Actual truth: Backcountry has never brought any lawsuit to extract money from anyone. Backcountry has only ever settled lawsuits it brought where the settlement provided substantial community and environmental benefits. 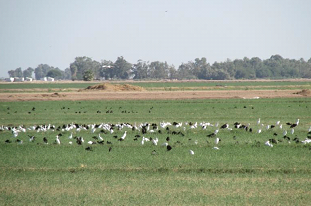 In some cases, farmland and wildlife habitat was preserved from development. In other cases, compensation was paid to impacted farmers to enable them to acquire other farmland or to otherwise mitigate some of their economic losses. VOSD false claim: Backcountry has pocketed “millions” in settlements from its lawsuits against energy projects. Actual truth: Backcountry’s wholly volunteer Board of Directors has never received a penny in compensation. Backcountry has no paid staff. All of its work is done by volunteers, except where lawyers are required to prepare for and prosecute lawsuits and experts are hired to analyze developers’ claims or to study project impacts. Much of the legal work done for Backcountry is conducted at sharply discounted public interest rates. Our 990 filings with the IRS confirm our financial status. VOSD false claim: Backcountry has paid only a fraction of the settlements received to impacted farmers. Actual truth: While some of the monies went to Backcountry’s former non-profit partner, the vast majority of monies actually received in settlements has gone directly to impacted farmers. A small portion has been used to compensate expert witnesses and attorneys in our efforts to enforce state and federal environmental laws. Other monies may never come to fruition if future project phases fail to move forward. VOSD false claim: Backcountry’s lawsuit against an industrial-scale solar project in northern Imperial County resulted in the transfer of publicly-owned farmland to members of the Cox family including Donna Tisdale. Actual truth: No Backcountry action, whether a lawsuit or otherwise, has ever resulted in the transfer of publicly-held lands into private ownership. In the case of the farmland owned by the Imperial Irrigation District (“IID”) cited in the first of the VOSD articles, IID sold an option to purchase the 560 acres of farmland to an industrial solar developer in June, 2011, prior to notice by the County of this proposed project. Two months later, in August, 2011, SDG&E filed a Power Purchase Agreement with the developer for this property. Promptly after learning of this proposed industrial development of farmland, affected farmers approached Backcountry, seeking help to oppose this conversion through the public environmental review process. Several Cox family members who had farmed land adjacent to the project for decades agreed to support Backcountry’s efforts to secure legal representation before the Imperial County Environmental Evaluation Committee (“EEC”), Planning Commission, and Board of Supervisors. Other affected farmers were invited, but declined, to join the legal challenge, including the farmer who had previously leased the farmland from IID. That particular farmer has confirmed that he chose not to defend his interests or desires to continue to farm that land, after his leases expired in June 2013, nor did he pursue compensation from the developer. Using financial support from impacted farmers, Backcountry retained counsel who submitted detailed comments to the EEC on October 10, 2011, and to the Planning Commission on October 11, 2011, December 21, 2011, April 11, 2012, and May 8, 2012, and to the Board of Supervisors on May 25, 2012. Our comments and legal objections pointed out that the proposed industrial solar use violated the Imperial County General Plan’s designation of this farmland for exclusively agricultural use. As a result of our opposition, the project proponent withdrew one of the four sites, which included 560 acres of farmland, from development at that time. However, no permanent protection was provided, and this land remained included in the certified EIR, under the control of the developer, and subject to the Power Purchase Agreement previously secured by SDG&E. Thus it remained available for industrial development in the future, either by the existing developer or some other. paid on this transfer, and the land has remained – and will remain – in productive agricultural use as a result of this confidential settlement. As a consequence of their participation in the process and resulting settlement agreement, one-fourth of the lands that otherwise would have been converted from active farm use to industrial energy development were preserved from industrial use, thus substantially reducing the adverse environmental impacts of this project. Sometimes, a 25% win is better than a 100% loss. VOSD false claim: Backcountry’s settlements have achieved no environmental protections. Actual truth: Backcountry’s participation, intervention, and /or settlements have dramatically reduced the adverse impacts of industrial solar and wind power development on thousands of acres in Imperial and San Diego counties. We summarize below many of the documented benefits of protecting farmland and wildlife habitat from industrial solar and wind development. Unnecessary solar conversion projects remove the carbon sequestering crops that provide habitat for resident and migrating wildlife and help cool the desert air. A 2015 American Farmland Trust5 analysis found that per acre greenhouse gas emissions from urban land uses average 58 times greater than those from crop production, with alfalfa representing the highest levels of carbon sequestration. Grass crops grown for seed also sequester carbon.6 Solar projects can also sterilize productive soil, preventing or degrading future use, and increase dust storms in a disadvantaged area of the state with some of the highest childhood asthma and unemployment rates. Industrial solar only creates a handful of permanent jobs—contrary to promises made. Farmland used to be appreciated and protected, because it produces the food and fiber that support so many consumers, so many jobs, and so many other businesses. According to the Farm Bureau website7, Imperial Valley agriculture production generated an estimated $5.3 BILLION in total economic impact and produces more than 2/3 of the vegetables consumed in the US during the winter months. One displaced farmer informed the VOSD reporter that he used to run about $100,000 per month through his business and that amount has since been reduced to less than $5,000 per month due to solar conversion of land he previously farmed. Farm related farm jobs were lost. Backcountry’s lawsuits have resulted in compensation to this farmer and others who chose to step up and defend their interests, as allowed by law. A new study on solar energy’s land use impact8 noted that most of the 165 existing, planned and approved large solar projects in California have been built in “scrublands” (145 sq. miles) with 28% built on croplands and pastures, and only 15% in developed areas. One researcher concluded that it would be “…better to locate installations in areas already affected by humans, such as on landfills, over parking lots, and on rooftops nearest to where the energy is being consumed.” This is exactly what we have been advocating, especially since chaparral, desert soils, and croplands sequester carbon, which is one of the main ways to address predicted climate change. Backcountry is a small community-based 501c (4) that was launched in the late 80’s to fight the 600 acre Campo Landfill that threatened East County’s sole source groundwater. It took over two decades, but we finally won in 2010 when the Campo Band of Kumeyaay voted down a revival of that project. In 2014, with Backcountry’s help, Campo tribal members also voted down Invenergy’s 250MW Shu’luuk Wind turbine project, based in part on health concerns. As noted, our unresolved federal suit attempted to stop the Ocotillo Wind Energy Project because it severely impacts Ocotillo residents and scenic, cultural, and wildlife resources on surrounding previously protected public lands. Our all-volunteer non-profit has had the courage to take on local, national, and international developers, including SDG&E, Sempra, Soitec Solar, Invenergy, Iberdrola Renewables, and Enel Green Power, in addition to federal, state, and county governments. We do this on a shoe string budget using good attorneys who share a passion for our conservation efforts and have been willing to make sacrifices to help carry us through the lean times, and with interest free loans from directors and members. Donations to a 501c (4) are not tax deductible, which makes raising funds more difficult. In 2014, $170,000 of our $220,000 income came from loans as declared in our 990 Form. Along with San Diego County, Backcountry and I were named in a SLAPP suit filed by absentee Boulevard land owner, Gregory Lansing, whose plans for thousands of acres of industrial wind and solar projects fell through. In June 2015, Judge John S. Meyer dismissed the case and ordered Mr. Lansing to pay the related legal expenses. No appeal was filed. The devastation related to the rush to “green” energy is real and unnecessary. We have exercised our rights under the law and will continue to do so. Renewable energy should be generated in the already built environment as close to the consumer as possible, which reduces project impacts and avoids expensive new transmission projects that increase catastrophic wildfire risk and generate huge guaranteed profits for SDG&E and other utilities, at the expense of ratepayers and taxpayers. Thank you Donna for your leadership and all your efforts to save our backcountry from industrialization! I am still hopeful McCain Valley and the surrounding wilderness areas will not be destroyed/blighted by wind turbines. FIGHT ON!!! Want to thank Donna for chairing numerous meetings here in Ocotillo as we tried to stop the Ocotillo Wind Energy Facility. Donna tirelessly attended weekly meetings as we fought Pattern Energy and the wind turbines. The wind turbines were eventually constructed on "Limited Use" public land that surround the community of Ocotillo. The noise, bright red blinking lights, infra sound and visual destruction is pure torture. A wind turbine blade has fallen off, there has already been a turbine fire, majority of the turbines have leaked oil and grading could be a very real problem with the upcoming El Nino' rains. The project is now in the hands of the Federal Ninth District Court of Appeals. Thanks Donna!